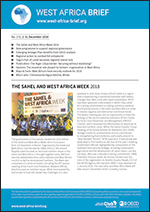 In this issue: The Sahel and West Africa Week 2018; New programme to support regional governance; Emerging Senegal Plan benefits from OECD analysis; Regional action to combat fall armyworm; and Togo’s Port of Lomé becomes regional transit hub. 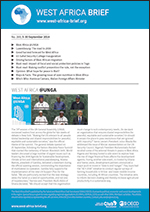 Contents: West Africa @UNGA; Luxembourg: The road to 2030; Good harvest forecast for West Africa; G5 Sahel Security College inauguration, etc. 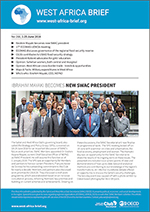 In this issue: Ibrahim Mayaki becomes new SWAC president; 17th ECOWAS-UEMOA meeting; ECOWAS ministers discuss governance of the regional food security reserve; USAID, CILSS continue to discuss food security strategy; and President Kaboré advocates for girls’ education. 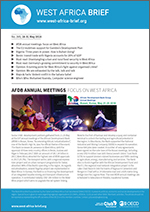 In this issue: AfDB annual meetings: Focus on West Africa; the EU mobilises support for Gambia’s development plan; Nigeria: After three years in power, how is Buhari doing? 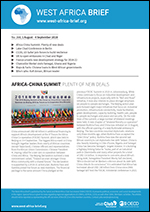 Opinion: We are exhausted by the talk, talk and talk. 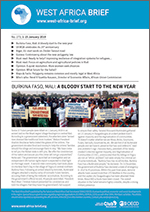 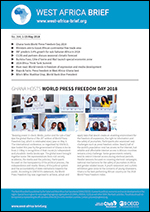 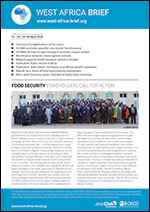 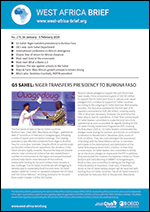 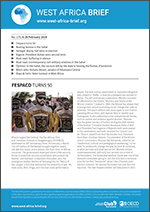 In this issue: Food security stakeholders call for action; ECOWAS promotes peaceful cross-border transhumance; new agro-ecological transition support project ; and Belgium supports health insurance system in Senegal. 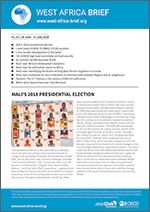 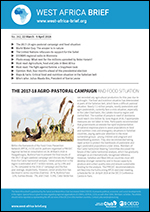 In this issue: The 2017-18 agro-pastoral campaign and food situation; World Water Day; The UN refocuses its support for the Sahel; and Mali, four months ahead of the presidential election.